Reading has been shown to improve memory and critical thinking skills, expand vocabulary, boost focus and concentration, and deepen empathy. All of those traits often hide behind a quiet, unassuming exterior. 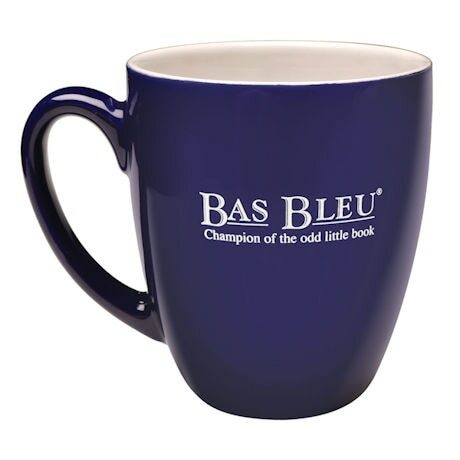 Boldly proclaim your bibliophilic powers with our "Never Underestimate a Well-Read Woman" Mug, a 16-ounce, midnight-blue mug, with the Bas Bleu logo on the reverse. 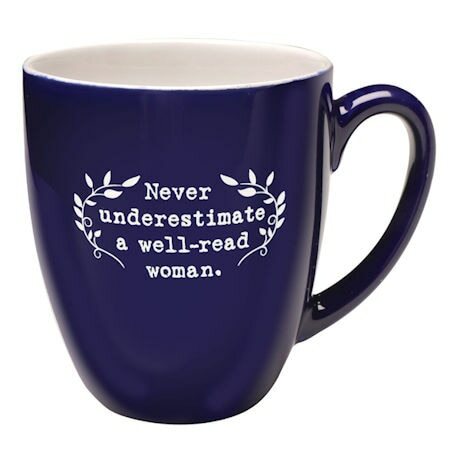 Take your morning coffee with a shot of bookish confidence! We're also offering the rousing mantra on a black or sky blue T-shirt, in a slightly fitted ladies' cut.